I’ve always been a morning person, which explains my love affair with breakfast. The alarm clock is my “hallelujah” chorus as I dash into the kitchen and welcome the day with a bowl of delicious food. I love breakfast so much that I would eat it for every meal. It is (as they say) they “most important meal” since it fuels your entire day. Tom and I have started a mini tradition of cooking unique breakfasts for one another, featured as the “Rise and Shine” series on this blog. A few weeks ago, we were huddled in his apartment during a rainstorm and I had a serious craving for pancakes…and not just any pancakes: banana pancakes. So we braved the crappy weather, grabbed ingredients from a local market, and went to work on these Whole Wheat Banana Pancakes with Honey. Pancakes are so beloved and simple that their equivalent can be found in practically any culture: injera in Ethiopia, blintzes in Russia, bánh xèo in Vietnam, crêpes in France…at its simplest, a pancake is a flat, round cake cooked on a griddle or frying pan. It is typically made from a starch-based batter that is either leavened or unleavened. Pancakes as we know them are typically leavened (using baking soda and/or powder), but most cultures prefer unleavened. 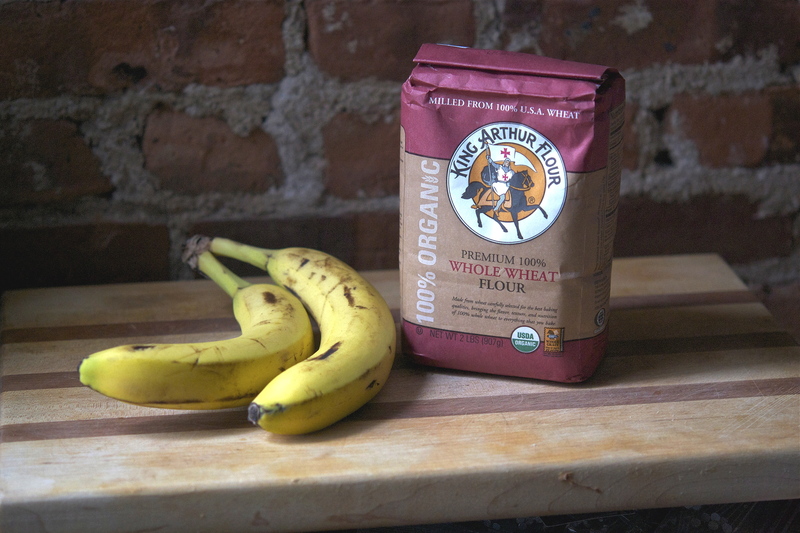 In an effort to make our pancakes “healthy”, we used whole wheat flour and all-organic ingredients. 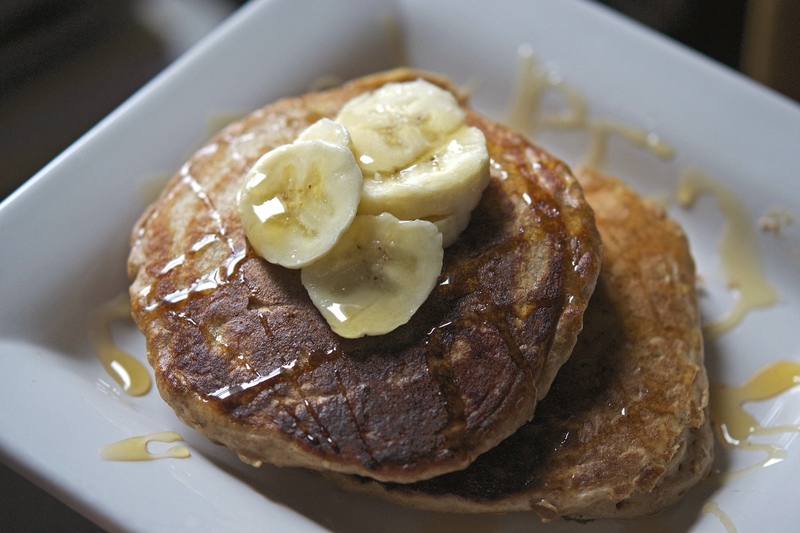 These pancakes have a perfect balance of sweetness and texture. They’re moist and fluffy, thanks to the addition of puréed bananas, but not as dense as banana bread. 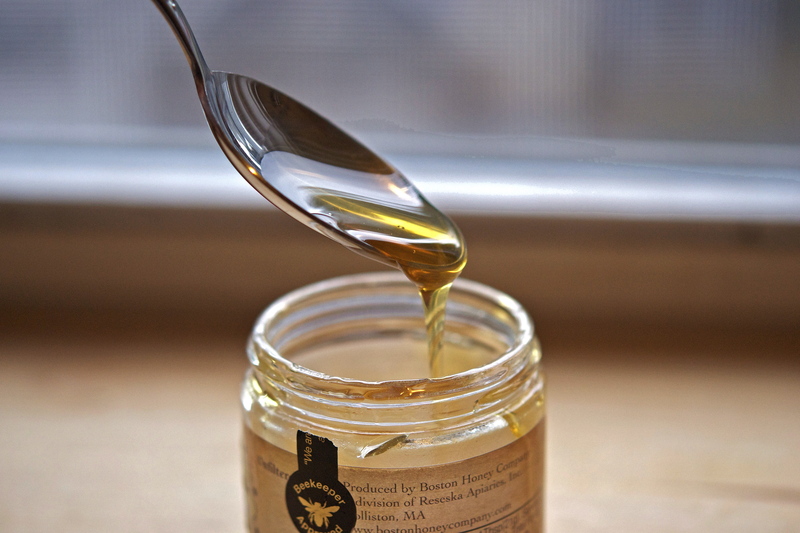 The only other sweetening agent is one tablespoon of honey. I love honey, and will often use it in lieu of maple syrup by drizzling it over pancakes or French toast. These banana pancakes were a hit, and both Tom and I had to go for seconds. They will definitely become a go-to treat for rainy days. Click HERE to add this dish to your morning routine! 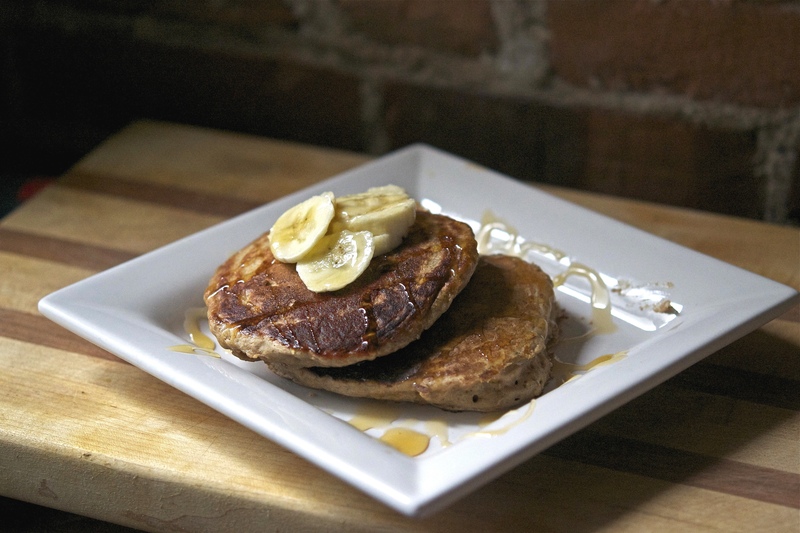 Pancakes are a playful dish, and can brighten practically any day (especially the rainy ones). This inspired my musical pairing of Schubert’s Impromptu Op. 90 No. 4. An impromptu is defined as something that is “done without being planned, organized, or rehearsed.” This piece isn’t necessarily spontaneous, but the playful energy and sudden shifts are perhaps more in line with the “unplanned” feeling. It’s overall merriment is very much akin to a childish energy, which can certainly be compared to an impromptu (and pancakes!). The piece opens with a series of cascading progressions, followed by gentle and grounded chords – the juxtaposition of playful with calm sets the opening tone of joyfulness. The middle section suddenly descends into a place of deep brooding and apprehension, as the music unfolds in a minor setting. Both the melody and harmony are immersed into a restless dialogue of self doubt – the pall is suddenly lifted as the opening material resumes and brightens the mood. The pieces end as it began, with a joyful air and light heart. The below recording is with pianist Krystian Zimerman – enjoy!